Single entry to golf course. I have read and agree to the Terms and Conditions and give my consent to Museum of Chinese in America to process my personal data. I understand I can revoke this consent at any time. 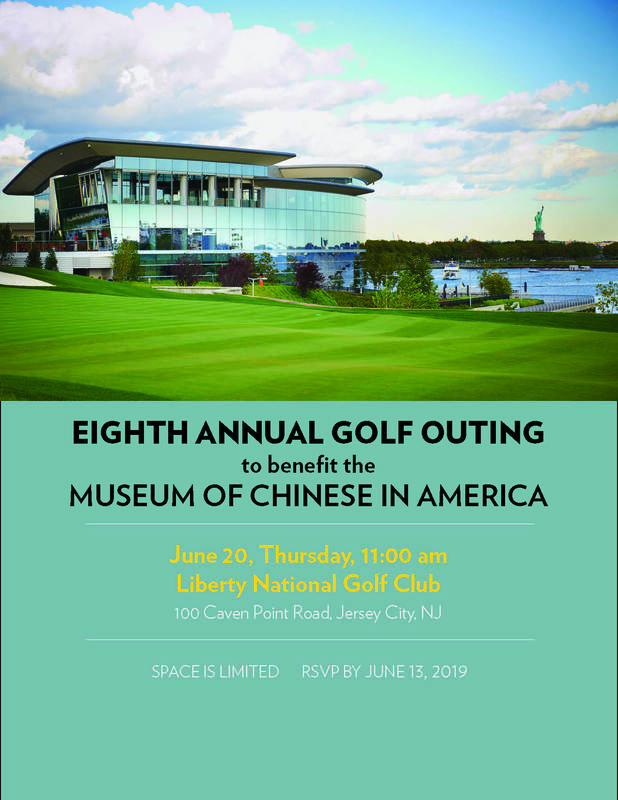 The Museum of Chinese in America will hold its Eighth Annual Golf Outing on Thursday, June 20, 2019. The event will take place at the incomparable Liberty National Golf Club. All supporting golfers will be treated to 18-holes, breathtaking views of the New York City Skyline, and an exquisite lunch and cocktail reception curated by Executive Chef Shaun Lewis. Special presentation to MOCA's 2018 Legacy Gala recipient Thomas C. Ahn will be made. Contributions to this fundraiser will go to celebrate MOCA's educational and community-building programs centered around the 150th anniversary of the completion U.S. Transcontinental Railroad in 2019 and the vital role Chinese played in the making of America.